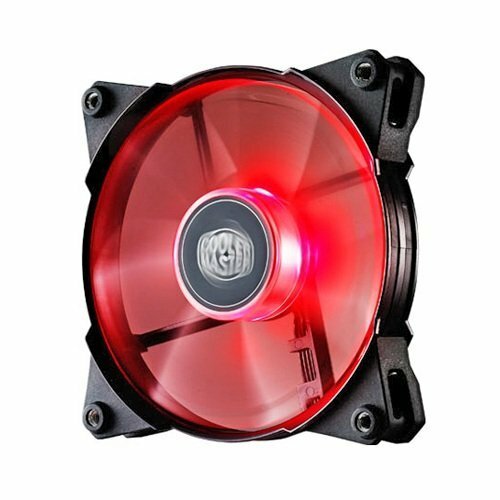 Using as an exhaust fan, it makes my computer overall around 1.8x louder (perceived) when above 44% fan speed. And it is an annoying noise differing and overpowering from the rest of the build, but i think it's from the vibrations or something - because the youtube videos and that, it just sounds normal. My screws are tight but maybe I stuffed something up, I'll try reposition it or refit it within 2 weeks and I'll update this review. 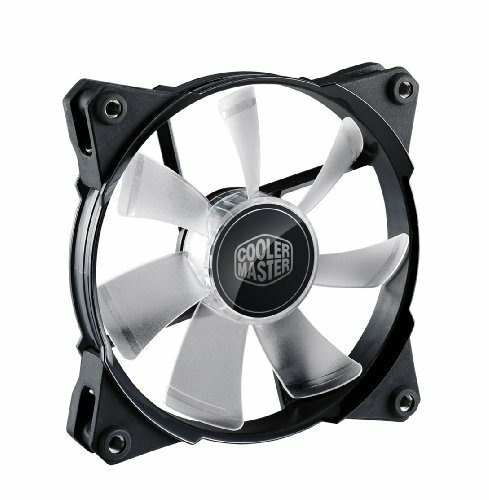 It has an excellent build quality and moves a lot of air, great for cooling. The silencer/extension cables in the box were extremely useful for my SickleFlow intake fan, it would not of reached the mobo otherwise. Has kept my zotac cooled down by itself on max settings but no bright enough. Still Useful. Cooler Master Hyper 212 EVO & CoolerMaster JetFlo's 95.0 CFM (Red LED) Great bang for the buck on this heatsink. Usually under 30 dollars on newegg. Stock fan does make an annoying rattle under 100% fan speed operation but honestly I don't see why you would need 100% fan speed mine usually idles at 25% and goes up to 40% while gaming which is still hardly even noticeable audibly speaking. I replaced the stock fan with dual Cooler Master JetFlo's in push pull orientation. 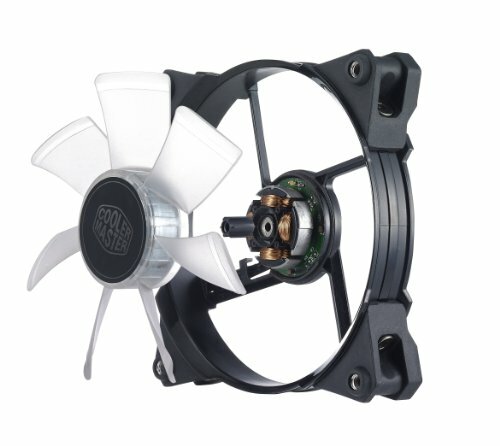 These fans have some serious airflow and is a little bit overkill for this application but hey I like them and wanted to see what this fan technology was all about as they are close to the best of what Cooler Master has to offer fan-wise. I would highly recommend both of these to anyone and the Hyper 22 EVO especially for a budget build! 3 JetfFlo fans for front intake. Offered great performance for both static pressure and airflow. The different LED display from the other fans was also appealing. The awesomeness bucket is overflowing with all these red LED fans (6 @ $100). This is the part where I jumped off the efficiency train for a sec, because RED LED fans!!!! I knew they would look great at the front of the case and my god, yes they do, absolutely, no regrets, will waste watts again. I was very impressed with the build quality, rubber connectors - these things are beasts though if you let them run on full throttle, noisy and make the pc sound like a jet (JetFlow - get it?). But being PWM fans - this wasn't just easily remedied, but resulted in some pretty sweet automatic temperature/fan controls of the system - so when idle/browsing it's just quiet - when gaming it starts whispering, beautiful. Not that quite but looks really nice and easy install.